State-of-the-art digital ceramic printers have helped transform the fortunes of a family-owned Northamptonshire china company, propelling them into the digital age. Thanks to a £5,300 grant from the Velocity Growth Hub, Newnham-based Susan Rose China has become one of only 60 companies in the whole of Europe to use groundbreaking digital printers to produce fully personalised mugs, plates, teapots and even Christmas baubles. The investment in pioneering printing technology has enabled the company to grow from producing individual items in a wooden garage known as the ‘Shed of Dread’ to a purpose-built workshop able to fulfill bulk orders from major international companies. Sales have quadrupled and the company has quickly grown from a husband and wife duo to a team of seven. Business manager Viv Elkins said: “We realized we needed to change our focus from B2C to B2B if we were ever to get the volume orders we needed to grow the company. “Velocity was recommended to us by Northamptonshire Chamber and we quickly discovered they were able to help, not just financially but with ongoing advice and support as well. The company was able to enroll on a specialist course run by Cranfield University to review their business practices and also received expert guidance from the Manufacturing Advisory Service (MAS). Orders have grown significantly, with major contracts from the likes of museums, schools and racecourses enabling them to boost their profile across a wide range of industries. Director Susan Rose said: “Previously if we had an order of 100 we’d think Christmas had come early but now we are making 100 the minimum order for corporate clients. The advisers are widely connected to national and regional government organisations as well as the private sector, and are able to signpost businesses to sources of grant funding or make personal introductions to individuals or organisations that add value to businesses.  To find out more about how Velocity could help you and your business with support, advice or grants, call 0300 01234 35, visit www.VelocityGrowthHub.com or follow us on Twitter @VelocityGrowth.